On Monday, September 17th, SpaceX CEO, Elon Musk, provided an update on the company’s massive Big Falcon Rocket (BFR) and Big Falcon Ship (BFS – previously referred to simply as “the ship” or “the spaceship”), and revealed the first fare-paying passenger who will fly around the Moon aboard a BFS some time in the 2020s. BFR has been in development since 2012/13. Designed to be fully reusable, it was initially referred to as the Mars Colonial Transport (MCT) – reflecting the company’s intention to use it to send humans to Mars. In 2016, SpaceX revealed the first formal design for the vehicle, which had been renamed the Interplanetary Transport System (ITS) to reflect the fact it could fulfil a number of roles. At that time, the vehicle – comprising a first stage booster and upper stage spaceship – was to be a 12 metre (39 ft) diameter, 122 m (400 ft) tall monster. By 2017, it had been renamed the BFR (for “Big Falcon Rocket”), and redesigned to be 9 m (29.5 ft) in diameter and 106 m (347 ft) tall. 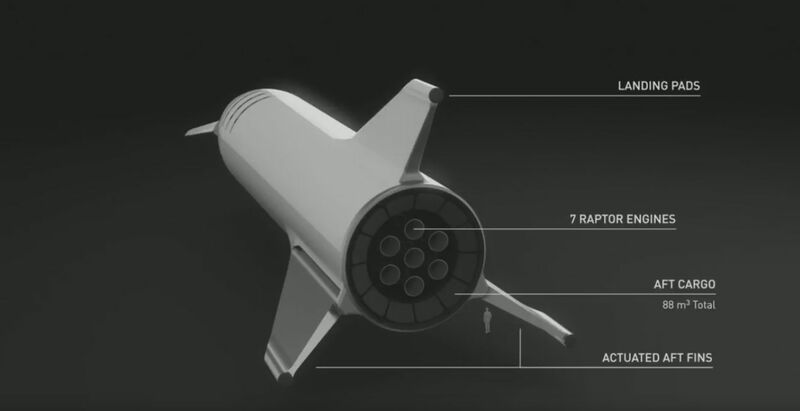 With the 2018 presentation, Musk revealed further design changes to the system, most notably with the upper stage spaceship, the BFS, some of which give it very retro rocket ship look. 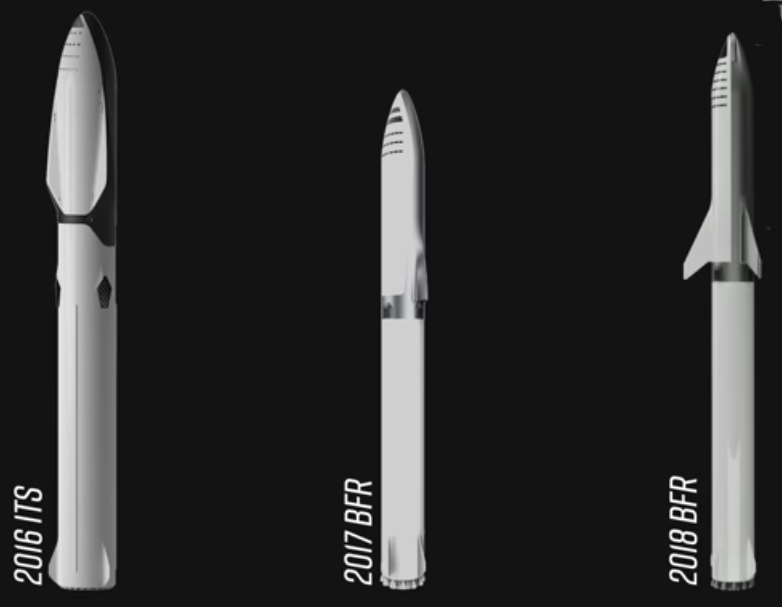 Left: The evolution of the BFR from 2016 (as the ITS) to 2018; renderings via the Everyday Astronaut. Right: an animated comparison between the 2017 BFS and the 3-finned 2018 variant (from an idea by Overlook Horizon). In particular, the BFS now sports three large fins at its rear end. All three are intended to be landing legs – the BFS being designed to land vertically – with two of them actuated to move up and down as flight control surfaces during atmospheric decent. These are matched by two forward actuated canards, also designed to provide aerodynamic control during a descent through an atmosphere. Two less obvious changes are an increase forward payload section and the design of the nose area of the vehicle, which includes a much larger forward “canopy” design than previous iterations, and an update to the BFS’s motors. Originally designed to be powered by 7 of the new SpaceX Raptor engine optimised for vacuum operations, the BFS will now initially be powered by seven of the same Raptor motors that will be used on the vehicle’s first stage (which uses a total of 31), optimised for thrust in an atmosphere. Elements of the first BFR system have been under construction for the last 12-18 months. 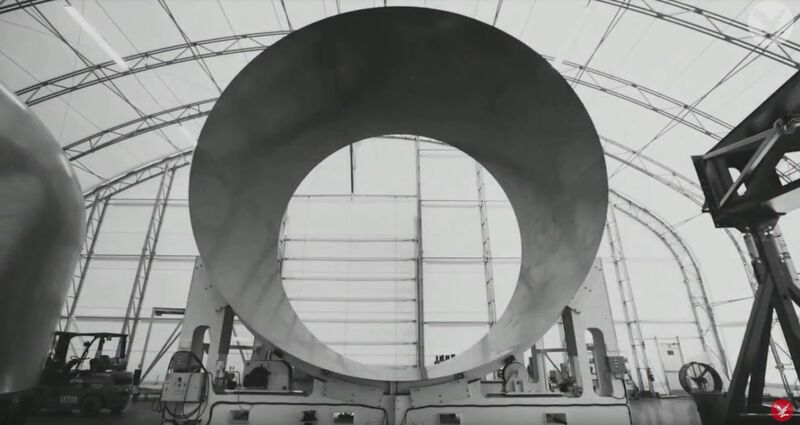 These include one of the fuel tanks, and the initial hull rings, and Musk confirmed that the company hope to have the first BFS prototype ready for initial “hopper flights” – lifting itself off the ground under thrust and then landing again – by the end of 2019. SpaceX then plan to run high altitude testing of BFS in 2020, together with initial flights of the core stage as well. Overall, the goal is to have the first BFR / BFS combination ready for orbital flight tests in 2021, building towards the flight around the Moon, which the company has initially earmarked for 2023. This is an incredibly ambitious time frame, and SpaceX would appear to have some significant engineering challenges to overcome. 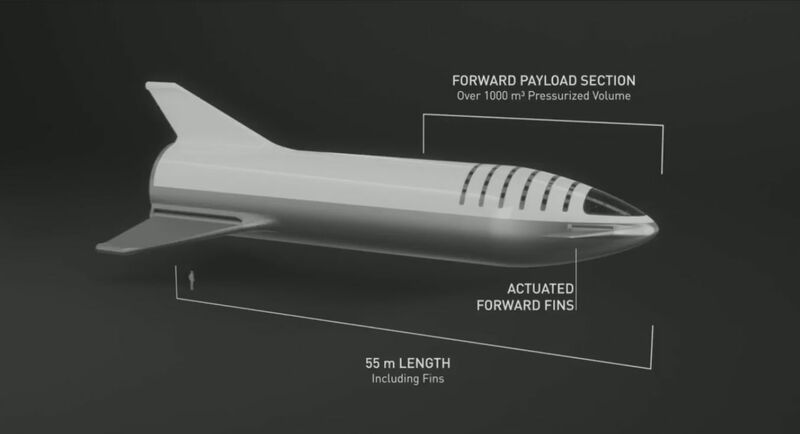 For example, by combining the landing legs with control surfaces, how are SpaceX going to ensure the craft can land sufficiently gently on another surface without damaging the mechanisms designed to move the fins, which will be required when the vehicle returns to earth. 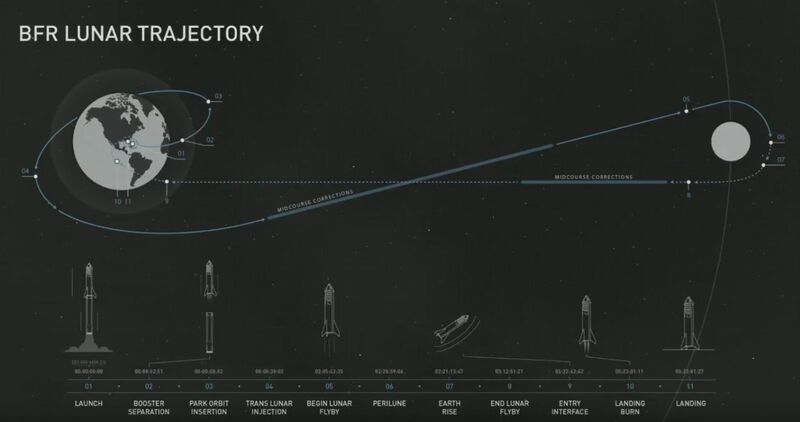 While there was always a risk that landing struts (as were originally going to be used with BFS) might suffer damage as a result of a “hard” landing on the Moon or Mars, integrating landing systems into surfaces vital to the vehicle’s (and a crew’s) safe return to Earth as planned by SpaceX, would appear to add further complexity to the vehicle – or call for contingencies to be able to transfer a returning crew to another vehicle on their return to Earth orbit should one of systems use to actuate the fins suffer damage when landing on the Moon or Mars. Another of the questions from where is BFR is likely to be launched. When initially revealed with a 12-metre diameter, it required a purpose-built launch facility. But with the core now reduced to a 9 metre diameter, BFR could in theory be launched from the SpaceX facilities at Launch Complex 39A, Kennedy Space Centre (KSC), Florida. In discussing plans, Musk revealed a final decision on BFR launch facilities has yet to be made, and hinted it might even initially fly from a floating platform. This was an idea first put forward in one of the company’s promotional videos for the system, suggesting it could fly up to 100 people between New York City harbour and Shanghai harbour in 40 minutes. During the September 17th presentation, Musk introduced Yusaku Maezawa, a 42-year-old billionaire and the 4th richest man in Japan. 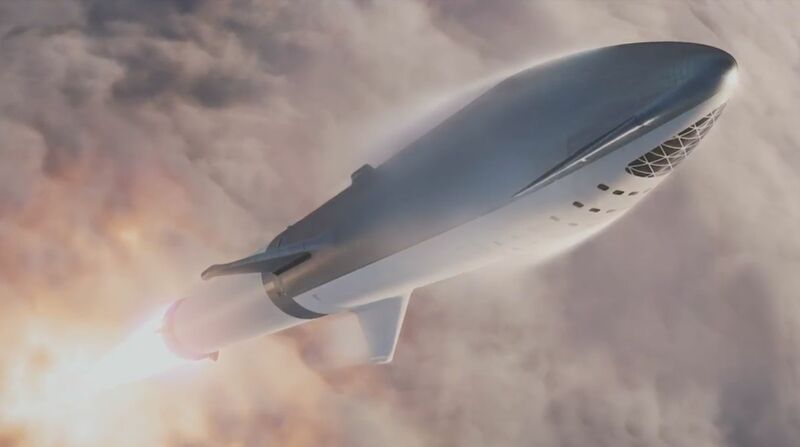 In February 2017, Musk floated the idea of sending a Crew Dragon vehicle the a crew and two tourists on a flight around the Moon, launched by a Falcon Heavy rocket. Reading between the lines of his comments, it would appear Maezawa (“MZ” to his friends) was to have been one of the two fare-paying passengers on that trip; and when SpaceX later dropped the idea, he refused to let it go. 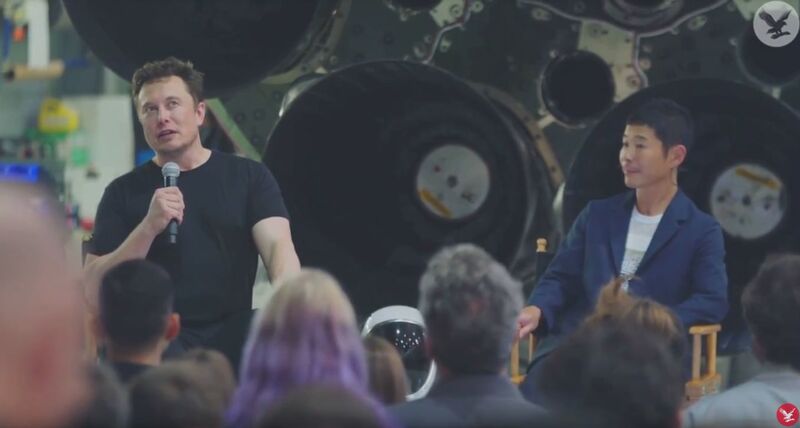 Instead, he approached SpaceX with a proposal to make the flight using BFR / BFS, and was prepared to put up the money. His reason for doing so is to inspire people around the world about the potential of space flight, something he intends to do by paying not only for himself, but for some 7-10 others to make the trip as well, in a project he calls #DearMoon. Exactly how Maezawa will select his fellow travellers – a film director, a painter, a photographer, novelist, dancer, a fashion designer, an architect, a sculptor and a musician – has yet to be announced. I personally would hope it takes the form of some kind of global “competition” rather than an “invite only” affair. The former offers the potential to in part achieve what Maezawa hope: to inspire people to consider the journey (and apply to participate in it), while the latter risks coming off as “inspirational” in only the most esoteric of ways, and might otherwise be seen more as a billionaire and his chums heading out on the “ultimate road trip”. For SpaceX, the flight represents a financial investment in developing BFR / BFS. While no figures have been disclosed, Musk refers to the total amount Maezawa is offering to be a “non-trivial amount” that will have “a material impact” on BFR development, and a down-payment has already been made on the trip. Currently, SpaceX can only push around 5% of it resources into BFR / BFS development, although the company hopes to have pivoted “most” of its resources into the programme by the end of 2019 (SpaceX plan to phase out both the Falcon 9 and Falcon Heavy once BFR has proven itself a viable commercial launch system). As such, even a down-payment from Maezawa, who has an estimated personal net worth of between US $2.7 and $3.6 billion, could go some way towards helping the company to pivot some more of their resources into BFR. Exactly when Maezawa and his selected group of artists will make the trip remains to be seen – the 2023 date is more aspirational than “tablets of stone”. There is a huge amount to do with BFR in terms of development, test flights, life support system development and testing, certification for human space flight, etc., that expecting to undertake the flight in around five years from now is a tall order – even the development of Falcon Heavy took five years longer than originally hoped. However, if and when the journey does take place, Musk offered a promise to all of us unable to fly the Maezawa and his artists. In 1967, science fiction writer James Blish was commissioned by Bantam Books to write a series of short stories based on draft versions of Star Trek episode scripts. 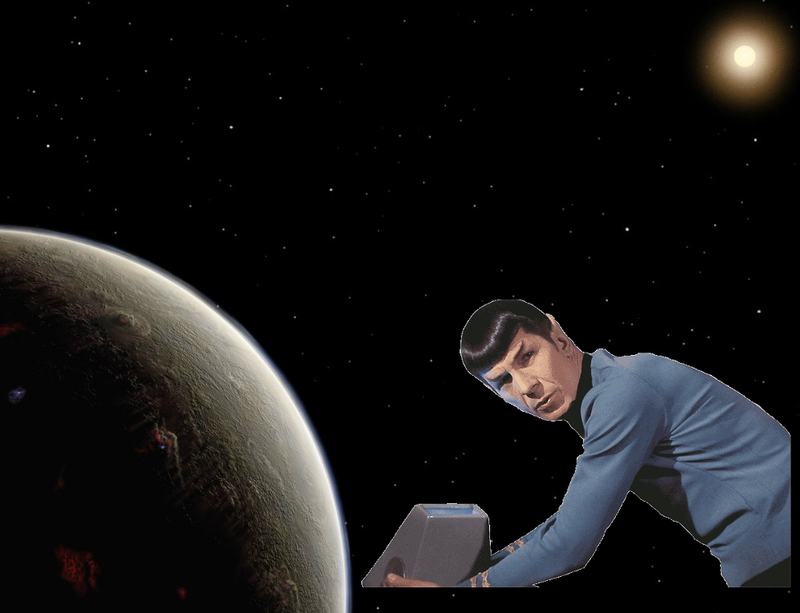 In adding background depth to some of the stories, Blish suggested that Mister Spock’s home planet, Vulcan, was located in the 40 Eridani star system. In 1991, series creator Gene Roddenberry confirmed this idea in a letter to Sky and Telescope magazine, and reaffirmed in an episode of the series Enterprise. Now researchers have discovered a planet orbiting 40 Eridani A – and it could well be ideally suited to life. A depiction of what the newly discovered planet orbiting 40 Eridani A might look like by Don Davis. The star is the fictional location of Mr. Spock’s home world of Vulcan. On September 18th, 2018, a team of researchers using data from the Dharma Planet Survey, announced they had located a planet orbiting 40 Eridani A, also called Keid or Omicron-2 Eridani or HD26965. The star lies 16.39 light years from our own, and the planet is roughly twice the size of Earth, marking it as the closest “super-Earth” to our own solar system yet found. Part of a triple star system – it is orbited by two more distant stars, HD26965 has a spectral classification of K0.5V, making it slightly smaller and cooler than our own. It is approximately the same age of the Sun, and has a remarkably similar magnetic cycle, lasting 10.1-years, compared to the Sun’s 11.6-year. The planet itself appears to lie within the star’s habitable zone, the span of possible orbits in which liquid water might freely exist on a planet’s surface, assuming it has an atmosphere. When added together, all of this adds up to a planet that could – gravity allowing – be a good candidate for life. Vulcan is, of course a hot planet, and in a further Trek-like twist, this world orbits its parent 40% closer to its parent that Earth does, potentially making it pretty warm as it zips around its parent every 42 days. 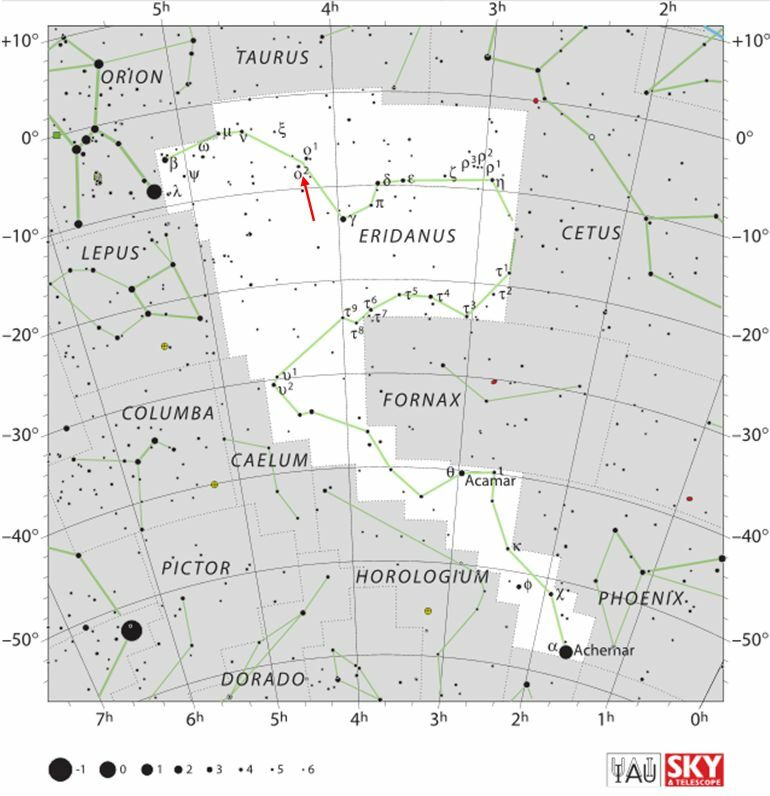 However, whether or not it has an atmosphere has yet to be determined, but in the meantime, stargazers and Star Trek fans can see 40 Eridani A with the naked eye and know there is a planet orbiting it. In 2014, the Japanese Aerospace Exploration Agency (JAXA) launched the Hayabusa 2 spacecraft on a four-year journey to 162173 Ryugu, a near-Earth orbiting asteroid orbiting the Sun at a distance of 0.96–1.41 AU once every 16 months. At the time of the launch, the asteroid was nearly 320 million km (200 million miles) from Earth, although it can come as close as 95,400 km. Since June 2018, the spacecraft has been studying Ryugu from orbit, and on Friday, September 21st, 2018, it delivered a pair of mini rovers to the asteroid’s surface. 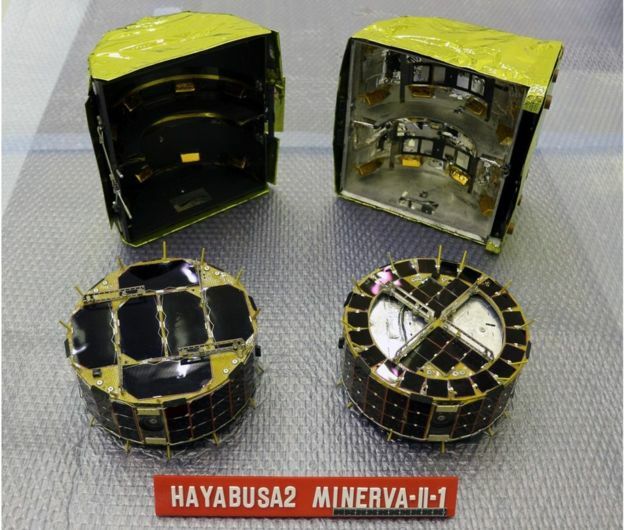 The tiny vehicles, called MINERVA-II1 A and B, measuring just 18 cm (7 in) across and 7 cm (2.75 in) in height, are designed to “hop” around Ryugu, with each 15-mintue hop carrying the rovers around 12.3 metres (40 ft) at a time. Between them they carry a total of seven cameras, which can be used to created stereo images of Ryugu’s surface. Nor are they the only things Hayabusha 2 will deliver to the asteroid. In 2019 the spacecraft will deploy a slightly larger version of the MINERVA II rover, which will be followed by the still larger, European-built, MASCOT (Mobile Asteroid Surface Scout), designed to probe Ryugu’s surface structure and mineralogical composition and measure its thermal behaviour and magnetic properties. Unlike the MINERVA rovers, MASCOT is designed to roll itself over the asteroid’s surface. 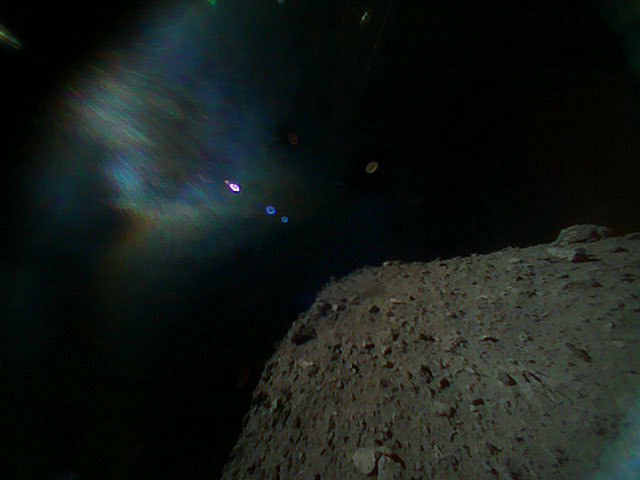 As well as the rovers, Hayabusha will gather surface samples from Ryugu. This will be done in two ways. In the first, the spacecraft will actually descend to “touch” the asteroid’s surface with a sampling “horn”. As this happens, a tiny projectile will be fired into the surface material so that the ejecta is captured by the “horn”. In the second experiment, scheduled of April 2019, Hayabusha 2 will fire a larger, explosive projectile into Ryugu, filming the results. Once the debris has settled from the explosion, which will take about two weeks, Hayabusha 2 will descend into the resultant crater and collect a sample of the exposed sub-surface material. Then, if all goes according to plan, Hayabusha 2 will depart Ryugu in December 2019 to bring the samples back to Earth for analysis, arriving in December 2020.